Three plus years a mother, so much has changed and oh, how I’ve grown. I often think about the rush of emotions I went through as I found out that I in-fact was carrying a baby. I was young, I wasn’t married, I partied quite a bit, I worked a lot, and my boyfriend and I were in one of those crazy passionate relationships. And in considering all of those things, I was open to all of my options as a woman. At the time the easiest one “seemed” like choosing to not be a mother. I made all the arrangements, approved the decision with my boyfriend, and even ignored the opposition and concerns from our families. Mothering just did not seem to fit in my life at 20. Late one night, as I hung up from making an appointment that would have been the door that led to another life for me I am sure, my boyfriend called me. As I laid in bed crying, fighting internally with my decision, but also fully believing that what was going to take place was the only correct choice for my life then, Peter’s called changed everything. Immediately I noticed that he was broken, his voice was shaken, and upon hearing him I started to cry. He asked me to let him speak, and there in that moment, between his broken-crying voice and mine, we both decided that we actually did not know what was best for us, but we did know we couldn’t follow through with what had been previously planned. In that moment, we chose to be parents. In that moment, I became a mother. Years later, I stand by my decision, but I also stand by the notion of choice. We were in love (we still are quite the passionate couple), we had a supportive family, and with that I knew I could become –at least– a mediocre parent to the baby growing inside of me. This morning, as my own mother slept in the next room, and as River woke up before the sun singing songs of spring and chatting about her favorite yogurt, it all hit me once again. That crazy love you get upon finding out your carrying a baby, upon pushing your child out into this world, the kind that sticks around even as they wake you up bright and early, and eventually when they become a mother themselves and have you run from state to state to pick up all the preparation pieces to welcome yet another baby, it never goes away. That love, it’s innate, hella scary, and also crazy good. There’s nothing else like it, and to even feel it for tiny sliver of time… it changes you, whether you welcome it or not. It changes you forever. As I become a mother times two, I realize that every single day of motherhood I am changed. I look on that phone call between Peter and I, how I felt brave and scared crapless all at once. How I had to put trust in myself that I could and would be more that just a mediocre parent, but a vessel of constant love, even through the sleepless nights and early mornings, and even the moments when my own mother has to step in and pick up the pieces and remind me that I’m doing amazing. I am changed. Today and everyday, I am grateful for this journey called motherhood. Happy Mother’s Day you beautiful mamas. Love this post! I became a mother in very similar circumstances to you, and I now could not imagine life without that unexpected little gift that I very nearly sent back. Beautiful story , I enjoyed reading it. Glad that you followed your heart. Happy Mother's Day! <3 How inspiring of you to share your story – looking back, I'm sure you couldn't imagine now not having that beautiful baby! This is so great. So much wisdom in "I am changed." Yes, that's how it feels. Love to you and yours. I had goosebumps reading this beautiful story! I love the sense of hope that sits alongside that feeling when things seemingly do not fit and yet you know that you're destined to make those not so easy choices. It's like knowing there's treasure buried deep and having no idea where. Thank you for sharing your story and insight with us! 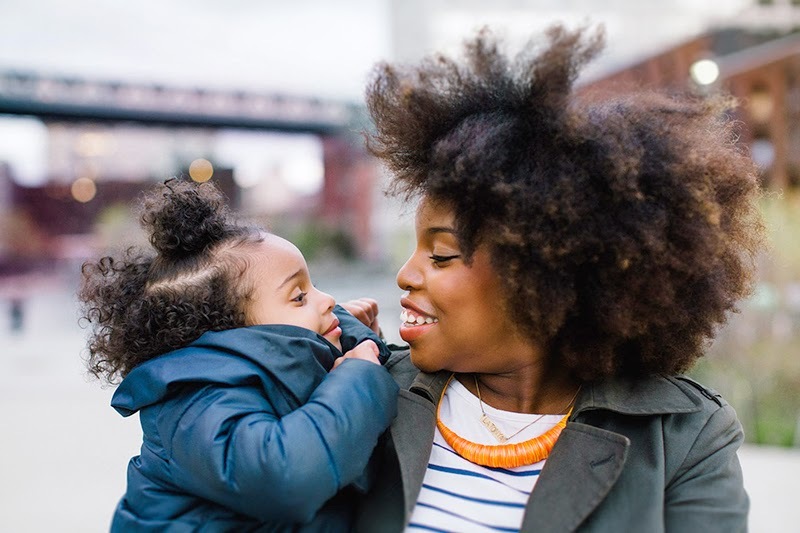 Motherhood is so amazing, but it's such an important and personal choice – you def. have to be "ready" to accept the challenge. So much love! This is an amazingly compassionate, thoughtful & prolific take on the concept of choice. Your speak with wisdom, Mama, happy Mother's Day to you as well! Oh my goodness, I can't even think of the "what if"
This is such an eloquent post on your decision to become a mother. I find it very brave for you to share something so personal, and I'm very happy I got to read it. Thank you for sharing. And happy belated mother's day! Thank you so much. I know this is a more personal post, but I hope in writing it, it encourages others who might be struggling with something similar. Thank you Kate, we both made amazing decisions. I've never commented on a blog entry, but your account of motherhood is so warmly touching… it made me cry. I'm a new mom myself, and am overwhelmed with how deep joy, fear, emotion and postpartum-fueled-anger for wanting to be better fuels such big love… Your honesty is refreshing, because jeez this mothering thing is hard and incredible all at the same time.